Versatility is the name of the game - go for a new experience at the flying field! Get ready for a new experience at the flying field: feel connected. 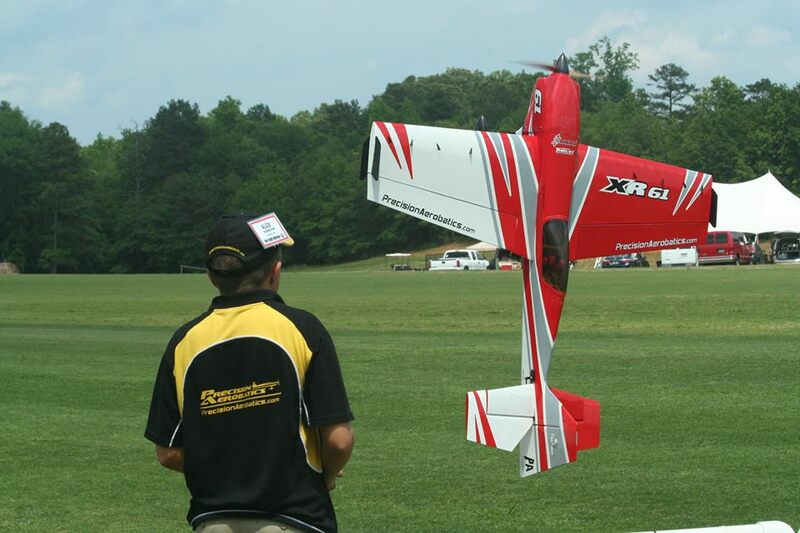 If you love our Katana MX, or the XR-52 – you really need to fly this one – the XR-61 takes the best of both. It is the largest plane currently available in the PA line and is the most accurate in the PA range. The sophisticated aerodynamic design, straight and true factory-build (incidence pre-set) and incredibly powerful set up allowing this plane to perform just like you hope for. 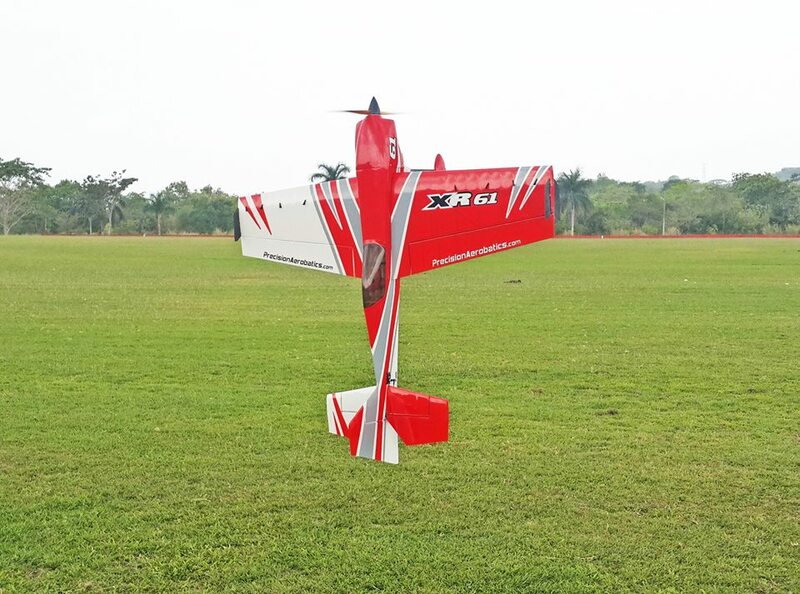 Be it precision flying or slow 3D – you got it! 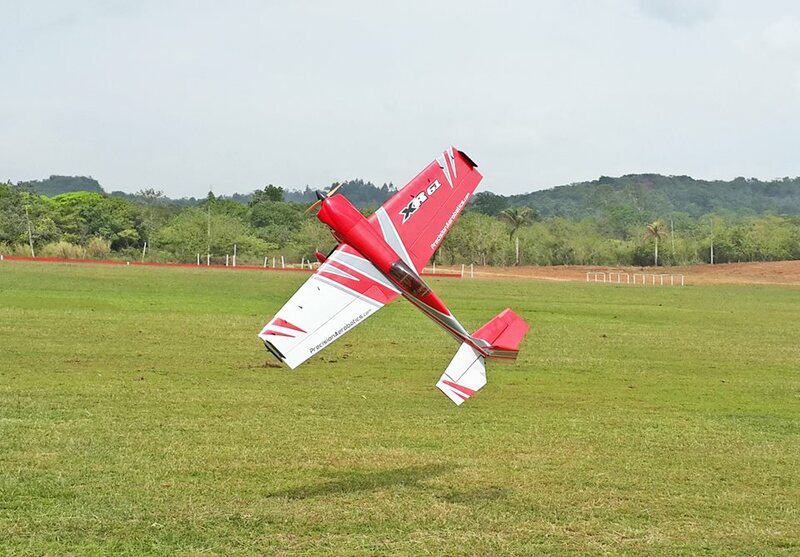 Don’t be intimidated by the size or capabilities of this bird – the unique design makes it that it can be flown just like an accurate sport plane – relaxing to fly and easy to land. Switch to high rates and adjust your CG for entirely different flying characteristics. Being a NEXT Generation PA plane means the XR-61 sustains more energy when flown and by so keeping higher flight speeds which is vital when performing consecutive aerobatics or freestyle maneuvers and allowing sharp and quick turns, resulting in most impressive and breathtaking transitions. You can expect everything: from crazy tumbles, to super slow harriers at walking pace, and high alpha knife edge without any coupling! Elevators that need 0 corrections other than small inputs to keep the plane tracking straight. Super tight and easy to do waterfalls, completely flat – flat spins! Slow rolls the length of the field, super precise snap rolls, completely axial rolls. This 61” wingspan design is sure to grant you an unmistaken giant-scale feel: being capable of stable, true and straight lines with unlimited power to recover from any situation. The XR-61 is incredibly lightweight and rigid. 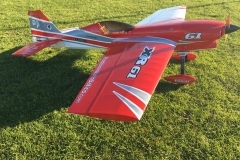 Couple its huge control surfaces to its feather-like lightweight and an incredibly low wing loading proves the XR-61 to be a floater that will respond immediately to your stick inputs. Powered by PA Thrust 50 RotorKool® equipped motor and PA Quantum 70 Pro ESC with a switching BEC makes the XR-61 extremely responsive providing absolute control, extreme performance and predictability, so you are able to get out of the most difficult situations with ease – and this builds confidence. The XR-61 is powered by two standard 2200mAh 11.1V packs, so you don’t need to get a new charger or buy a battery that is dedicated to only one model in your hangar. 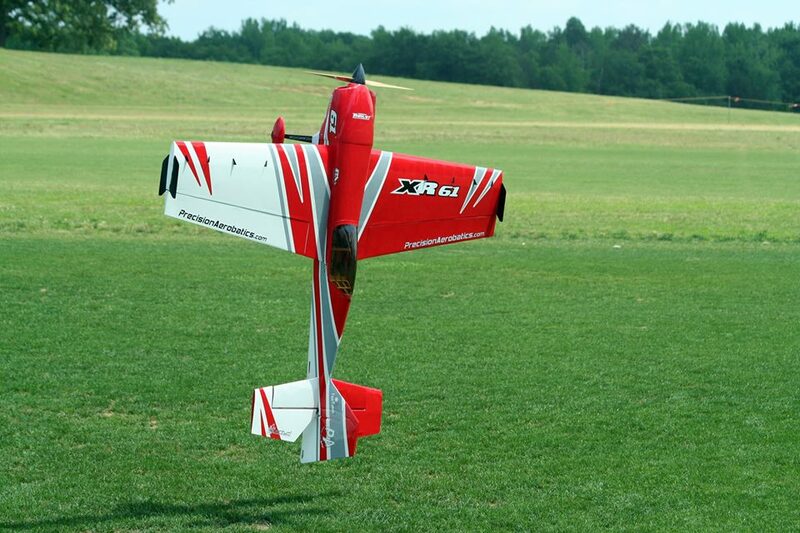 The two PA 2200mAh allow for 6 minutes of safe intensive 3D flight. This iPAs package has proven to be the most powerful yet most economical and reliable set up possible. Best of all, you don’t even need to know how to select your ESC, motor or battery or even need to learn how to program your ESC. Everything is done for you and all that is required is just to plug and play. With the iPAs package, we have made it as easy as it gets to get it right the first time when it comes to electrics. 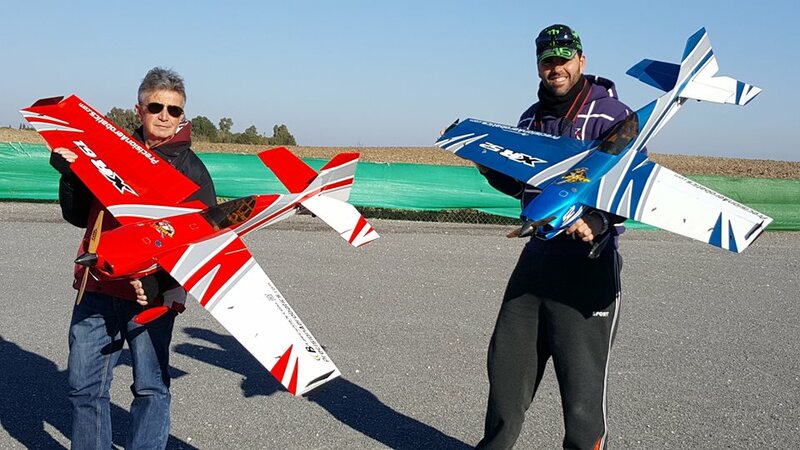 Not only does the iPAs package make it easy to get it right, it will give you the identical setup (and potential performance) as our Team Pilots. The XR-61 is pre-assembled by our skilled staff, each specifically trained in building models using our most advanced FiberFusion® construction techniques to date; using only the finest grade material, all cut by state-of-the-art laser and CNC machines. In order to attain uniform performance for each and every model manufactured, each plane is consistently crafted on highly sophisticated and accurate jigs. Further, each set of wings are individually matched to their fuselage and all receive matching serial numbers (something most factories don’t do even in giant scales production). We test-assemble each airframe before shipping and ensure precise wing incidence, alignment and fit. Two wing halves are removable making it easily transportable for a model of this size. 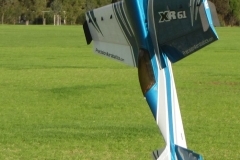 The wings are joined together with a CF wing tube and CF sleeve that makes the XR-61 a compact and durable aircraft. All flight surfaces are fully airfoiled, and the ailerons are already pre-hinged with the gaps sealed . 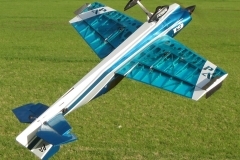 For maximum aerodynamics, the aileron design and construction in this model is exceptional, made in such a way that the hinge gap is completely sealed as part of the wing, similar to the full size high performance aerobatic planes. This is indeed quite complex to produce: the ailerons fit into the wing trailing edge tunnels being glued and aligned in the factory. Despite the laborious production of this design we insist on producing the ailerons this way, as it ensures perfect aerodynamic flow over the airfoil resulting in maximum efficiency of the control surfaces. To us, it is the aerodynamic performance that counts most. Following PA tradition this model too gives the word QUALITY a whole new meaning. From the design through the construction, the hardware, level of finish, and the attention to detail are second to none. Our XR-61 is a TRUE ARF, 99% built for you in our factory. The brief assembly is a joy and most modellers will have it set up in just a few evenings with the help of our video build guide series, PA Builds – now included in the box of the XR-61. 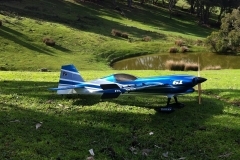 Flying weight (AUW including batteries & spinner): approx 2028g / 71.5oz /4.47 lbs !!!! Wing area – 807 sq. in !!! German made CNC machined precision prop adapter (We decided to include this adapter instead of common prop adapters usually bundled with motor accessories to avoid performance robbing, vibrations and motor mount structural damage). • 4 of NXT-90HV Metal gears servos. • Set of 4 Carbon Fiber extended servo arms specifically designed to achieve the desired linkage geometry for full control surface movement. Note that the supplied servo arms are designed to match the NXT90. If you already own these servos, please purchase the servo arms separately to ensure the correct linkages geometry is achieved. You won’t go wrong with the XR-61! Super light and agile but very precise. 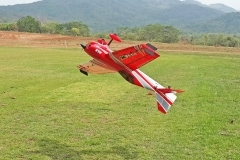 I am not the world class pilot like Daniel or Michael but this plane makes me more confident with the way it performs. With each flight, I am getting it more “dialed in”. One other point, besides great design and great customer service is that it uses the very common and inexpensive 3s2200mah batteries. Think about your battery inventory and replacement costs as part of your purchase decision. 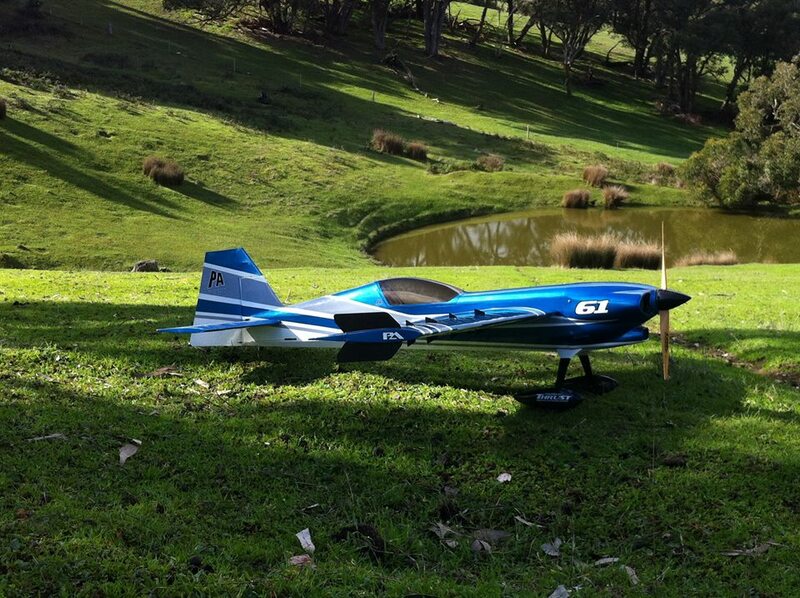 It’s been a long wait but I finally have my XR 61 and have flown this awesome machine. So far I’m very happy with its performance. After coming from flying the EF 60” airframes then flying hundreds of flights on my 3 KMXs. I have come to really appreciate how good it is to fly a plane with a light wing loading there are just so many advantages of this. With one of the biggest advantages being that it gives you a slipt second longer to correct any mistakes that you make. 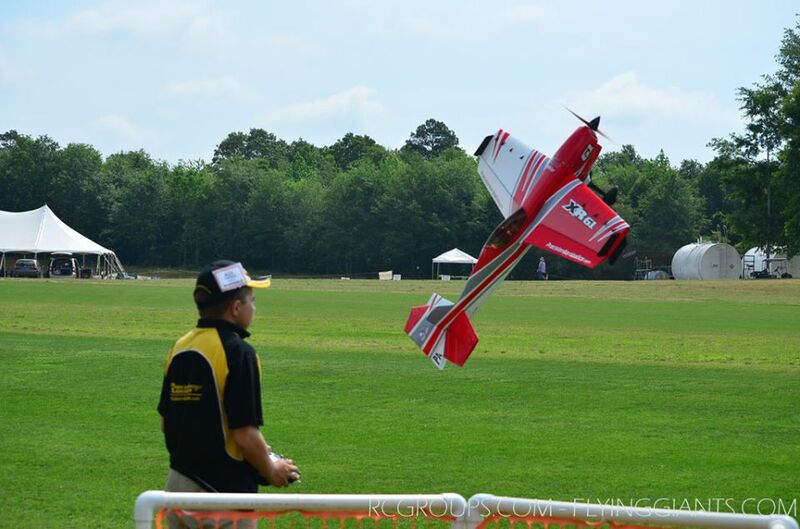 I think the KMX is an outstanding airframe. I’m that happy with the XR61 that I’m going to place an order for another one. I cannot wait to see what your next design will bring. I hope that the rumours of something bigger are true. Again, thanks for this incredible design. Absolutely nothing like it. 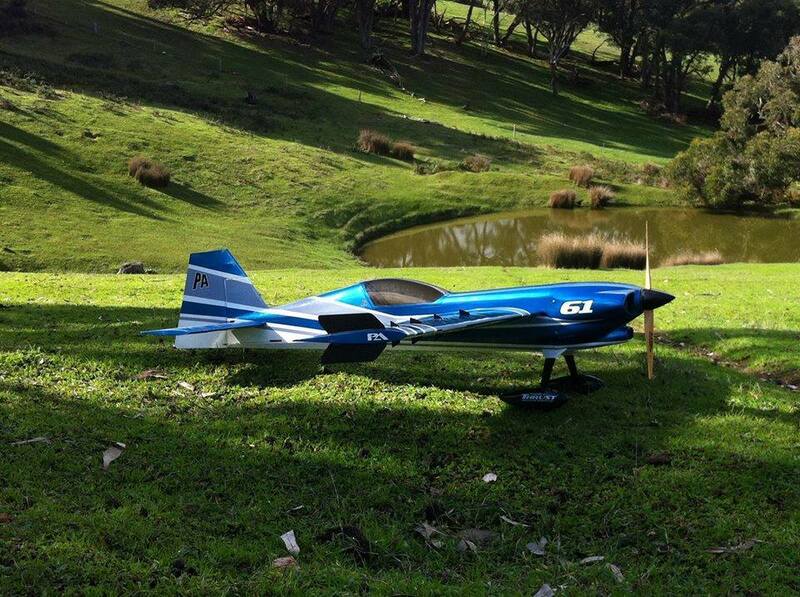 I have the XR61, great aircraft, love it. Hey Shaun, Hows it goin? 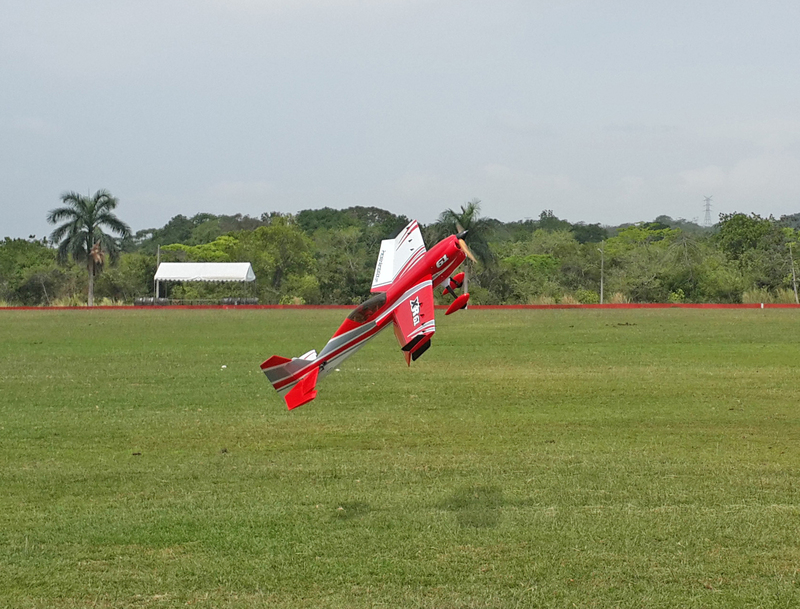 Finally flew mine WOW. Kudos you guys nailed it. My first wooden electric and amazing. Still setting it up but flew the crap outta it. Windy as well. Did violent parachutes and I mean violent hehe, snaps you name it and smooth. Love it will for sure buy another PA electric. Will upload videos soon. After a very long wait to get my XR61 I was finally able to fly this awesome machine. I’ve got 7 flight on its so far and cannot wait to put some more on it. Like all PA planes it rules in the low and slow environment and the inverted harriers are so rock solid. 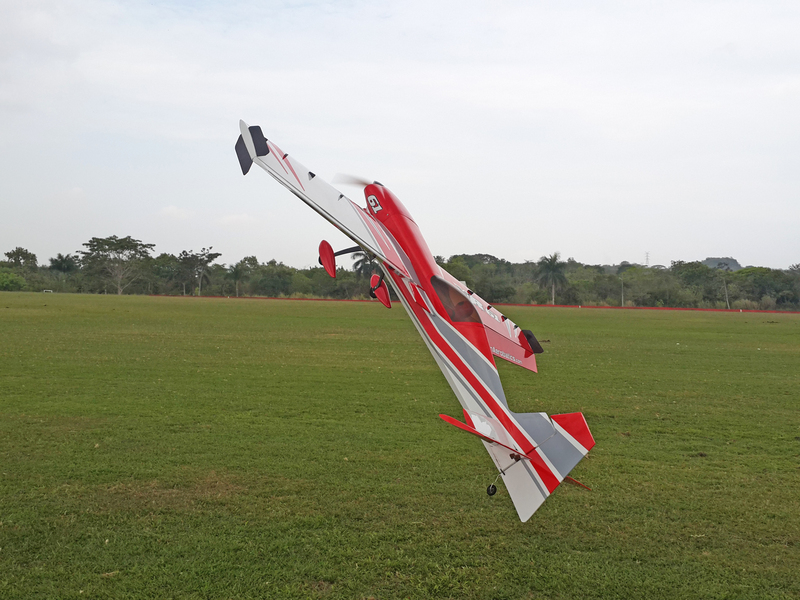 Lightest loaded 3d balsa I’ve flown. So sweet! This is a plane that can float around with the best. Huge control surfaces allow for instant flight path changes. I thought my PA Extra 260 was the cat’s meow until flying this one. 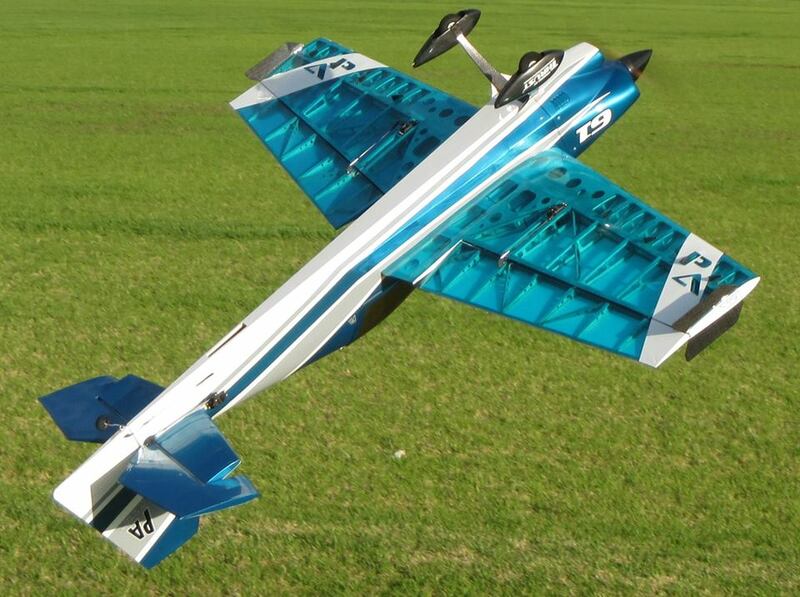 Again, the floaty factor is amazing and not many built -up planes can even come close to the wing loading/weight. Period. Man is the XR-61 good or what!! Good would be a massive understatement it’s unbelievable! I can only speak really in comparison to the ADXL but it does everything that does and MORE! I’m loving pop tops and knife edge spins, they’re by far my favourite maneuvers at the moment. I’m still getting used to the post stall characteristics as it doesn’t fly as slow as the ADXL… Amazing plane! the XR61 is amazingly accurate and axial in rolls.. When my wife first saw me flying the XR61 (after many months seeing the KMX) she commented on how ‘clear’ everything looked in comparison. After another couple months flying it, I really started to see what she meant, & I agree totally!! 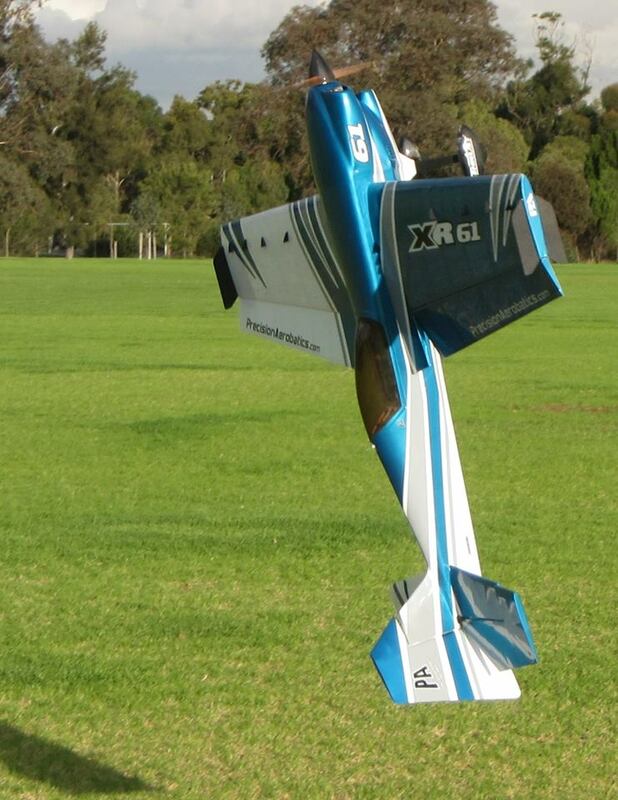 The XR shows up EVERYTHİNG you do, so it can make your flying look crisp and perfect the XR61 performs just perfectly! One-roll circles and loops are absolutely flawless with it. 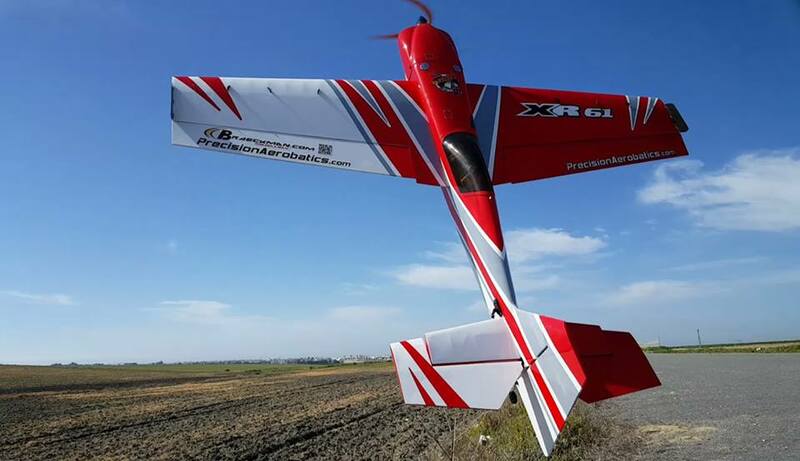 That’s so true about the durability of PA planes.. I’ve had a couple dozen little bingles with the XR61 so far, and it’s still flying as light and perfect as day 1. (field repair kit consists mainly of thin CA, kicker and scotch tape). That being said though, the XR blows me away more with it’s ability to get out of trouble than it’s crash resistance! So many times I’ve got away with some VERY sticky situations, and was able to power away when it seemed there was no way out.. the XR seems to be able to defy physics at times, thanks to it’s mega-lightness and ability to change directions at lightening speed! This plane is definitively an awesome plane. I’m happy to say I’ve finished my XR-61 and had the first few flights! 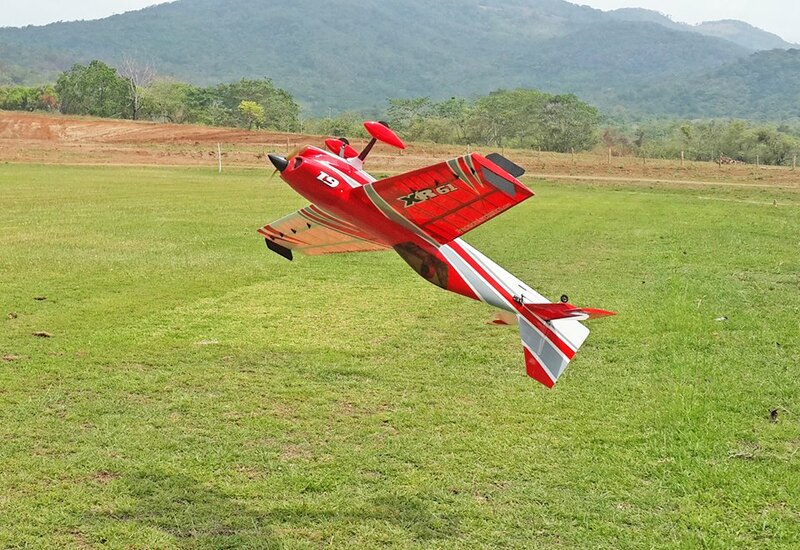 Wow, it’s a really responsive, agile plane. It made me imagine what it would be like getting in a supercar for the first time and taking it for a spin! It’s very precise and stable, at the same it time it enters every manoeuvre really explosively. KE authority is fantastic & high alpha KE is superb. So are rolling harriers, so locked-in and axial. Everything happens really tight – KE spins/lomcevaks are wild! 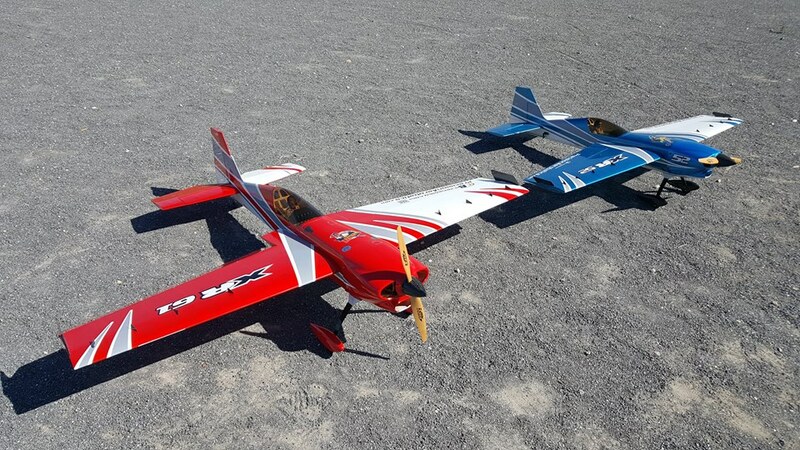 Harriers, upright and inverted, are really stable, and the XR turns really tight in both. Hands down the sexiest looking fuselage on the market, the outside now matches the beauty of the construction technique inside. Had three flights with the XR-61 and even let Little Stevie have a play. Nearly there on tweaking to suit my thumbs, its much smoother than the XR-52, but still retains a greater flip rate than the Katana MX. 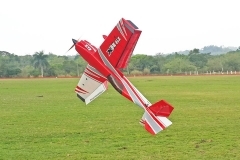 Its a big model, but still the Thrust 50 provides a positive pull from the prop hang. 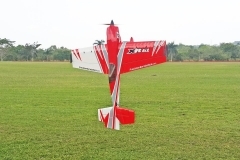 Airframe is incredibly quiet, no vibe even in high alpha KE flight, motor box is really stiff! with 2200 6s seven minutes easily possible. I bought the XR61 in August, and so far it flies better that I could have hoped. Knife edge, flat spins, harrier, hover, etc, are all at your command with this plane. The instruction manual is very specific and detailed as to how to put it all together. Follow the instructions with equal care and you will be more than happy with the results. The wing bags I ordered with it were also very well done and protect the wings well, even with the vortex generators installed. Great job PA! Just received my new XR61! This is my third PA airplane. 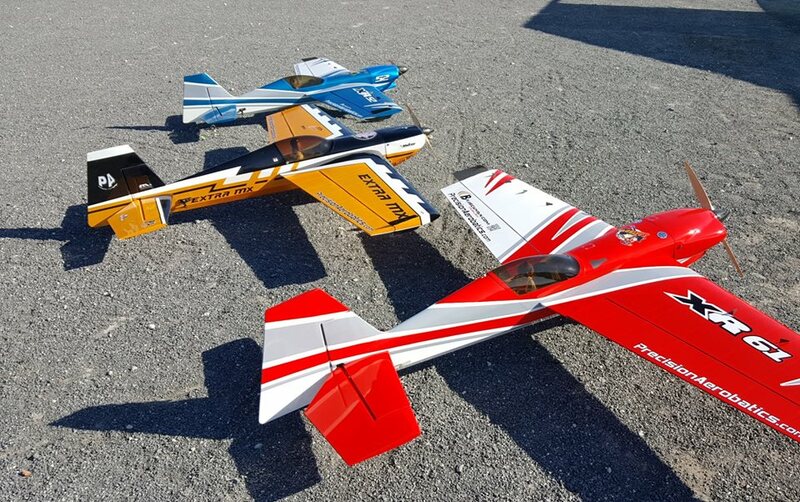 I now own 9 RC airplanes from different manufactures but I find myself flying the PA planes exclusively for the full thrill of flying. There is no need for gyros or other gimmics. If you know the basics of flying and have flown RC airplanes there is no crazy coupling, you just need to fly the plane. PA recently upgraded the servos that are included with the iPAs packages with better performance in mind. The NXT High Voltage servos are far superior to the Hitec servos that were previously supplied with the models. 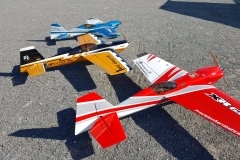 They are effectively improving the plane performance and as such we felt that its not a good idea to hold on the upgrade of the servos in the iPAs package just because of the servo bays of the models that were just produced was already cut for Hitec. Instead we supply the model with spacers that allow the user to modify the servo bay to fit the NXT servos. 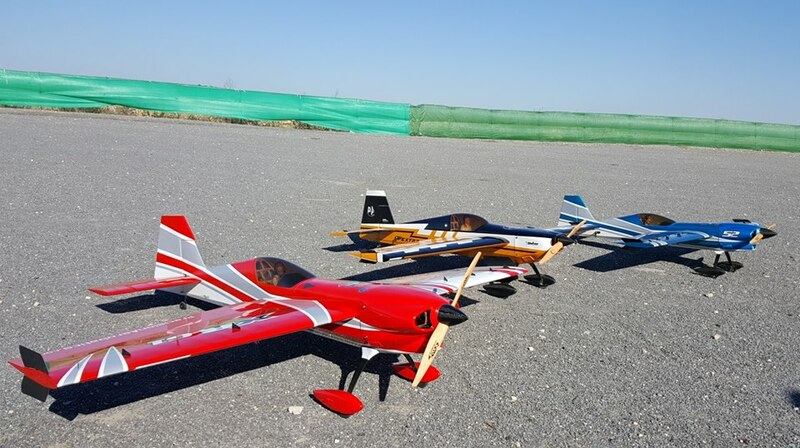 VOX 15×7 wood (PA Item #AC-2113) – a good conservative prop for slower sport flying with decent freestyle performance but not good for 3D. 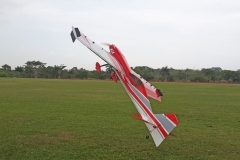 It allows very good flight duration (due to the low amp drawn and high efficiency) and is best used in calm weather. Slower roll rate compared to the Vox 15×8. Can be a good propeller for initial flights to get used to the plane (due to the softer throttle range/feel) or if slower speed sport flying is what you’re after. VOX 15×8 wood (PA Item #AC-2107) – This prop is a must-have with the XR-61 and is provided in our iPAs Power package. Due to the large size of the XR-61 (more drag), this prop is an excellent match with overall performance for fast aerobatics, high energy/high performance and extreme 3D when using PA V4 2200mAh 25-50c battery packs. The higher pitch and extra punch make it a better choice in a windier day. Great flight speed, faster roll rate, tighter tumbles and waterfalls compared to the Vox 15×7. 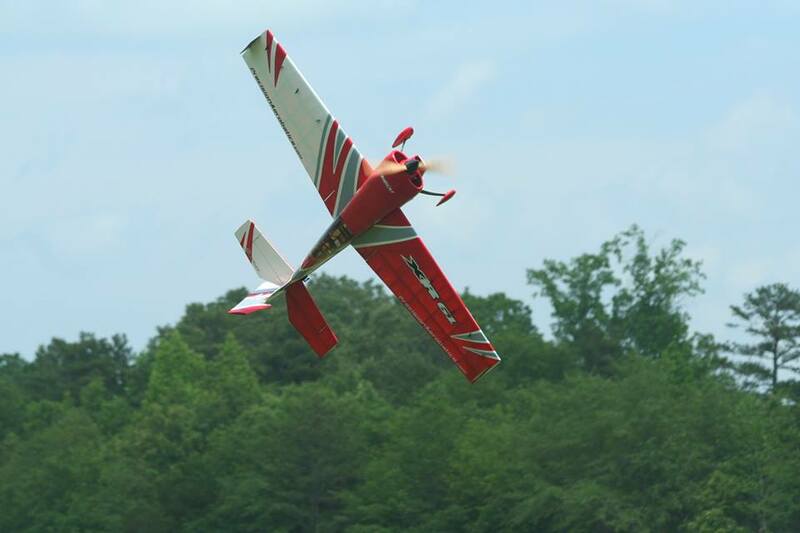 The XR-61 has a very wide flight envelope from precision aerobatics maneuvers to very slow and easy 3D. 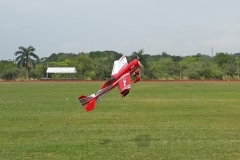 the extra flight speed this prop offers is therefore essential, especially in sustaining the flight speed during the transition between maneuvers so you don’t lose much of the energy. 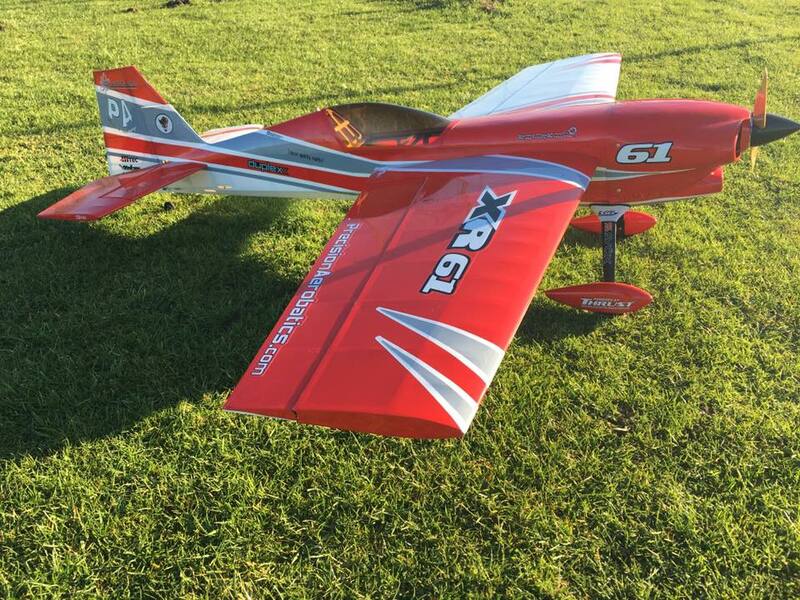 It draws a little more amps than the Vox 15×7 but with the XR-61 efficient design and lightweight it still provides an excellent flight duration as less throttle is needed to fly the plane. The 16×6 will allow generally good flight speed but still slower than the Vox 15×8, so if you are more after speed for IMAC, sport or freestyle you may want to consider the Vox 15×8 although we strongly recommend trying one of each. Start with the Vox 15×8 and then later on, once comfortable with the XR-61, swap the prop to the Vox 16×6 and decide which one you like the best. This will allow you to explore the full potential of the XR wide flight envelope. Note: It is important to accurately balance your propeller prior to installation as poorly balanced propellers are inefficient and cause vibrations which are detrimental to your model and motor. A video showing how to check and balance your prop is available on our website. Use only propellers that are adequately sized to be within the specified limits of your motor. Warning: Plastic APC “E” props of equivalent sizes are NOT recommended for any of the PA planes as they generate a lot of vibrations being out of balance. They also flex and will draw much higher amps compared to the Vox props at the same sizes being less efficient. 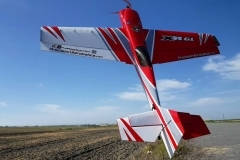 Using them instead of the recommended Vox propellers can lead to a motor box failure! !